It is time to tap into the gatherer within! While there is a significant movement pushing people to develop their own victory gardens and support local growers, we still tend to ignore the wild plants volunteering all around us. Dandelion, Taraxacum officional, grows wild across much of the United States and so is accessible to just about anyone. Though you probably think more of Round-up than of salad when you see a dandelion, I am here to change that perception. Dandelions are delicious! Dandelion is often wrongly perceived as a foe to the garden and rarely considered an edible treat. Dandelion is both beneficial to the garden, highly nutritious, and tasty. Dandelions help the garden in multiple ways. 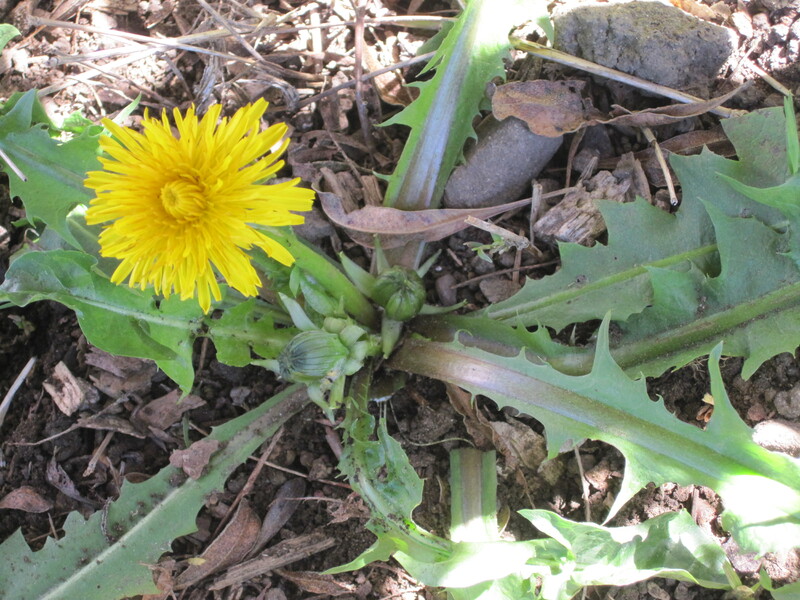 Dandelions send down a tap-root that breaks up heavy soil. The root also helps draw nutrients from down deep and then deposit them on surface as the leaves decay. They are also beautiful. It would be hard to find a child that is not in awe of the snowy globes of dandelion seed. The name, Dandelion, comes from the French, dent de lion, or tooth of the lion. This is a nod at the serrated leaves of the plant. Identify dandelion by its serrated, hairless leaves, its non-branched flower stem, and its milky sap. Dandelion is highly nutritious. It boasts vitamin A, vitamin C, potassium, calcium, iron, and more. 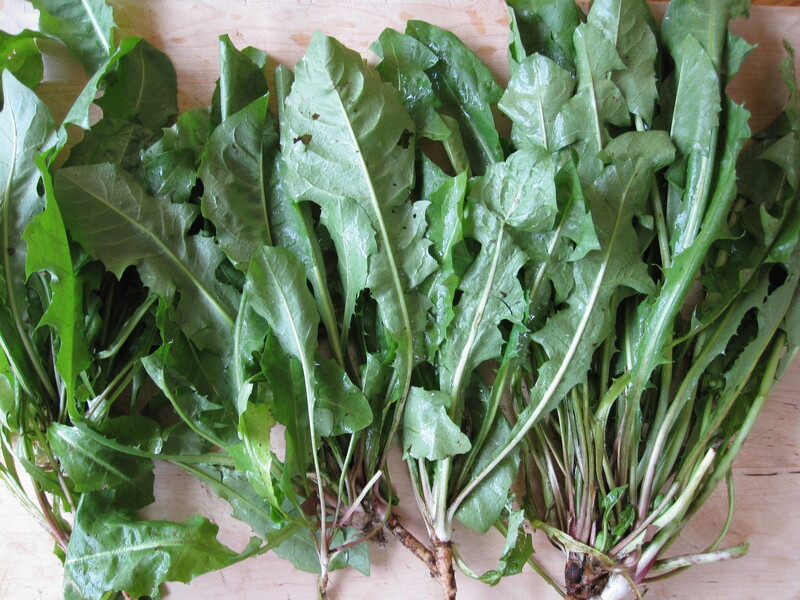 Well stocked produce markets offer dandelion greens, but those are a cultivated variety. Most people do not realize that the garden weed is edible. The heavy rains of winter mean a beautiful crop of dandelion growing, with any luck, right outside your door! Harvest dandelion in the spring when the leaves are long, bright green, and fleshy. Since dandelion is often the target of toxic sprays, make absolutely certain that the dandelion you pick is from an area that is free from harmful chemicals. The dandelion root and leaves produce a wonderful herbal vinegar. To make dandelion vinegar, harvest the root and leaves from a dandelion plant or many (you will be “weeding” at the same time!). Wash the dandelion carefully, remove any flowers or flower stems. Mince the plant and cover in balsamic vinegar. The dandelion infuses the vinegar with deep, earthy flavors and nutrients. 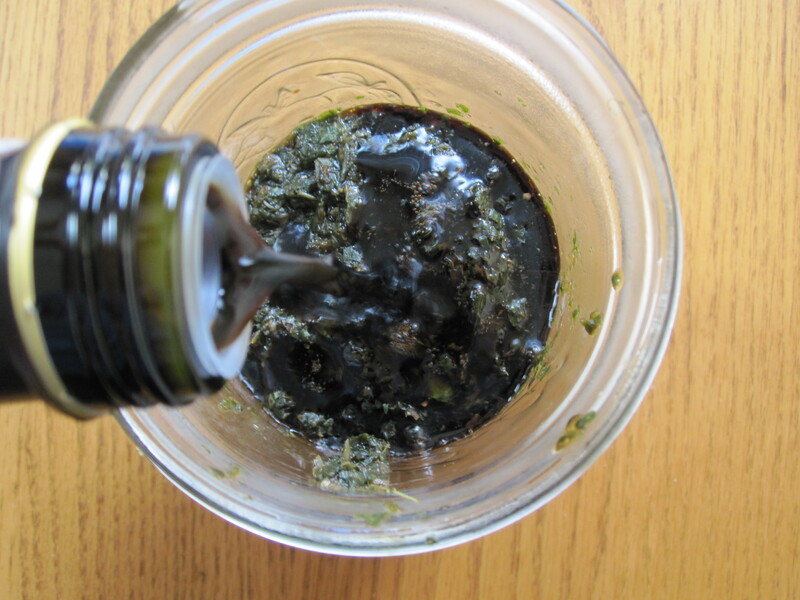 Strain the vinegar and serve in salad dressings, add to a soup for a delightful acidic burst, or use anytime you would use plain balsamic vinegar. The flowers are beautiful added to salads. Wash leaves and roots. Remove any flowers, flower stems, or dried leaves. Mince. 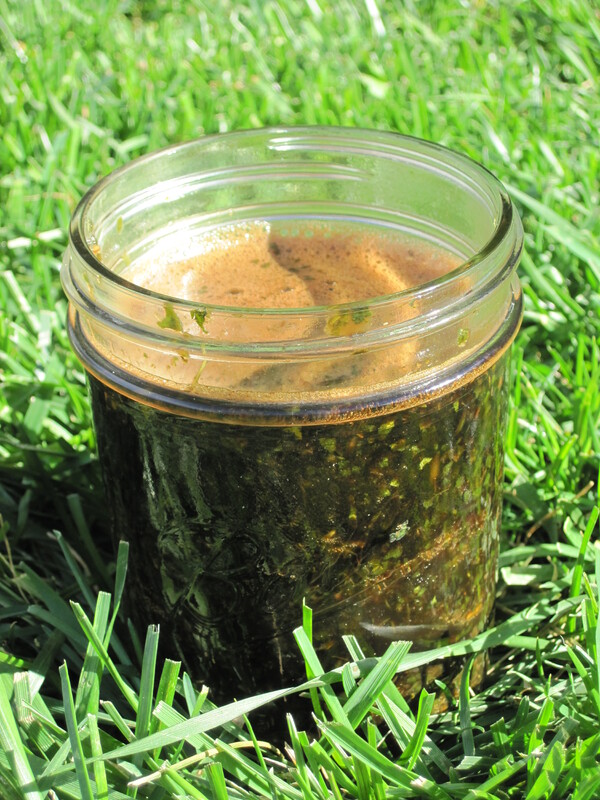 Place in a sterilized jar and pour balsamic vinegar over the top so that the herb is submerged by 1 inch. Cover and let sit for 3 weeks. Strain the vinegar and use as you wish. I would like to make Dandelion wine this spring. Do have any tried and true recipes? I haven’t tried Dandelion wine, but I’d like to. Please share if you find a good recipe! Loved the idea and simplicity of this recipe I did it myself and put a little ditty up on Preserving Beauty! Thanks for the suggestion! Thanks for the link. Dandelions are wondrous things!